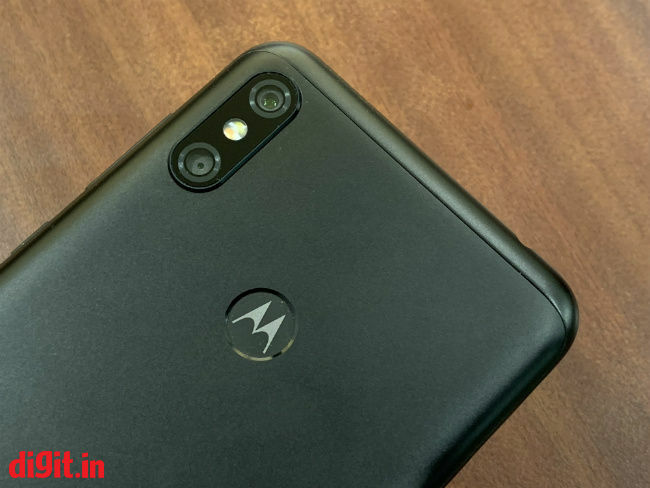 The Moto One Power is clearly an attempt to destabilise Xiaomi, Nokia and Honor’s pole position in the mid-range segment and take back the market share, and for the most part, the Moto One Power is capable of doing that. The phone’s is performs reliably, has a decent enough camera and can last really long — More or less everything one looks for in a mid-range device. It’s not a perfect device though, and there are a few annoying trade off here and there. Read the full review to find out. As the Moto G5 and the Moto G5 Plus were receiving the update to Android 8.1 Oreo, Moto announced the Moto One Power, the company’s first phone under the Android One programme. The two events may not be a coincidence at all, and could be the Moto’s way of reassuring users who have so far been disappointed with the company’s update policy. It’s a little ironic because when Moto was under the ownership of Google, it was used as the vehicle for Google to implement certain standards in Android phones — Clean, minimalist UI, regular updates, and all the latest Android features. Well, that’s exactly what the Android One programme now entails and over the past one year, a lot of manufacturers have signed up for it. The trend is visibly apparent. Users do prefer the clean look of stock Android over the bloated ones like EMUI or ColorOS and while Moto did stick to its stock Android roots with minimal modifications, the company was being called out for not supporting devices that are less than a year old. The answer is the Moto One Power, a product that the Lenovo-owned brand hopes will help compete against bigwigs like Xiaomi, Honor and the likes in the mid-range segment. 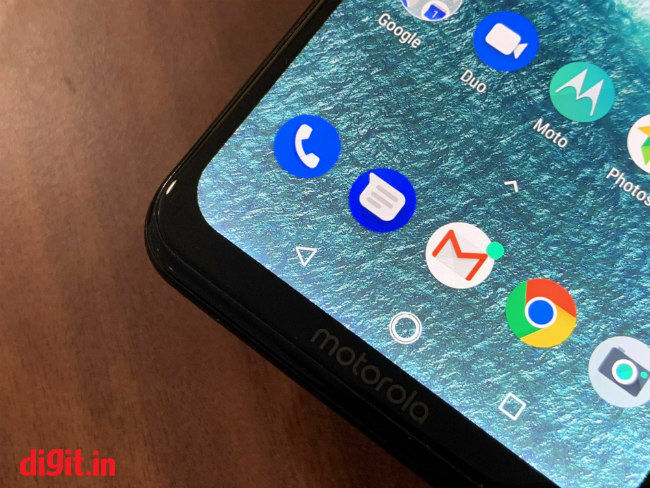 The Moto One Power, in its bid to compete fiercely, packs a relatively newer Snapdragon chipset under the hood, along with a notched display to keep up with changing times. But what is really appreciable is the massive 5,000mAh battery and the fact that being under the Android One programme, the updates will now be regularised. 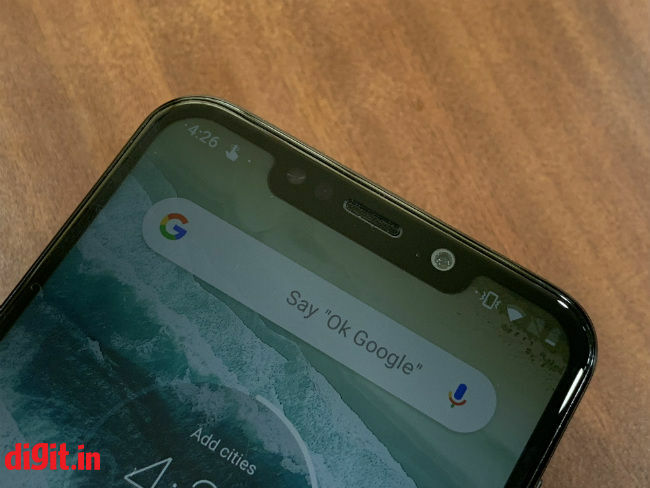 We have seen the Nokia phones and Xiaomi’s Mi A2 push out regular security updates. We are hoping the same for the Moto One Power as well. But is the promise of regular updates be enough to convince users to skip phones that are more popular? Let’s find out. Moto phones have always stood apart from the rest in terms of the design. I remember when the Moto G5 came out last year with a metal body and it looked every bit different from the Xiaomi and Honor phones that looked more or less the same. Even when the Moto X was out, it’s compact form factor was the cause for envy for many. The Moto One Power is stark departure from that philosophy. It now looks a lot like the Redmi Note 5 Pro and even more like the Asus Zenfone Max Pro M1. It’s quite thick and bulky owing to the gigantic battery. Up front is a notched display. Moto has shaved off a lot of bezels from around the display and it looks quite immersive. It will be difficult to spot the Moto One Power among smartphones from other popular brands, but that doesn’t mean it’s difficult to use. However, if you use the case provided in the box, the phone does feel a tad too thick and becomes unwieldy. I like the fact that the display is curved the same as the rounded corners of the body, as it makes things a lot more symmetrical even though the notch works against it. The back panel, which has a polished matte finish, is distinctly separate from the chassis, much like the removable back panels on older phones. I did try to use some force and remove it, but it seems to be firmly stuck with adhesive. One of way of differentiating the phone from others is the Moto Batwing logo on the rear-mounted fingerprint sensor. It’s something the company has been doing to phones for a while. The camera bump too is quite minimal and the phone rests still on a flat surface. At the bottom is the speaker grille on both sides of the USB Type-C port while on right edge is the SIM card tray with a dedicated slot for a microSD card. The Moto One Power looks quite generic, yes, but it’s also quite functional. It’s nice to hold and use and the rounded corners makes it easy to grip the phone. The Moto One Power, like most phones launched in 2018, sports a notch on top of the display. As a result, the phone is able to fit a 6.2-inch IPS LCD FullHD+ panel with 81 percent screen-to-body-ratio. The pixel density is also quite impressive at 402ppi. It does take most of the space up front, but Moto did find space to fit its logo at the bottom of the display. Up top, the notch houses the front camera, the LED flash, the earpiece and the proximity sensor. The fullHD+ panel supports Widevine’s L1 certification and hence can stream content in high definition from Netflix, Hotstar and Amazon Prime Video. That’s something lacking in Xiaomi and Honor phones in this price range and definitely gives the Moto One Power a leg up in making full use of the available quality. Videos themselves look quite immersive as the panel brightness goes as high as 536 lux. It does seem to be on the cooler side though. Video content from YouTube and Netflix adapt to the notch by letterboxing the edges (YouTube crops out part of the video to do so), although, the notch can be easily made out because of the backlit display. The added brightness also makes the phone easily legible under direct sunlight. Surprisingly, there’s no option to hide the notch. Given how polarised people are about the ‘innovation’, it can likely be the deciding factor in buying the phone. The Moto One Power is powered by the Snapdragon 636 chipset paired with 4GB of RAM and 64GB of storage. The chipset also powers the likes of Xiaomi Redmi Note 5 Pro, the Nokia 6.1 Plus and the Asus Zenfone Max Pro M1. 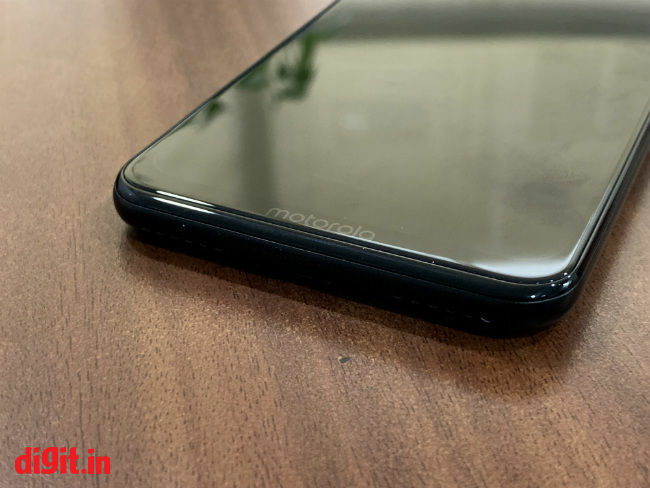 All three of these have enjoyed the status of being the best performers in the under-15K range, till the launch of the Realme 2 Pro which introduced the Snapdragon 660 in that price range. There’s not a big difference between the two chipsets, save for newer CPU cores and a better GPU. The Snapdragon 636 is good enough for daily tasks like using social media, binging on Netflix, playing the occasional games and the likes. It’s based on a 14nm FinFET manufacturing process making it more power efficient than chipsets from the previous generation. The chipset also supports Bluetooth 5.0 and latest Wi-Fi standards along with dual 4G and dual Standby. On benchmark apps, the Moto One Power fares just as good as the Redmi Note 5 Pro, the Max Pro M1 and the Nokia 6.1 Plus. The scores were really tight. On AnTuTu, the Moto One Power scored 116553 as compared to 112652 on the Redmi Note 5 Pro. 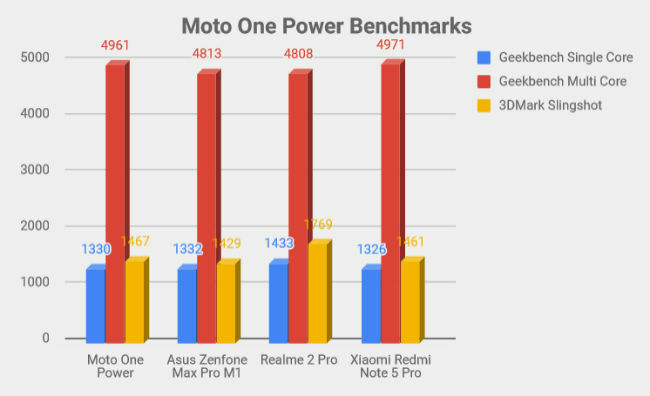 On 3DMark Slingshot, the Moto One Power managed to get 1467 as compared to 1461 on the Redmi Note 5 Pro, while on Geekbench Single and Multi Core, the Moto One Power scored 1330 and 4961, both very close to that of the Redmi Note 5 Pro. 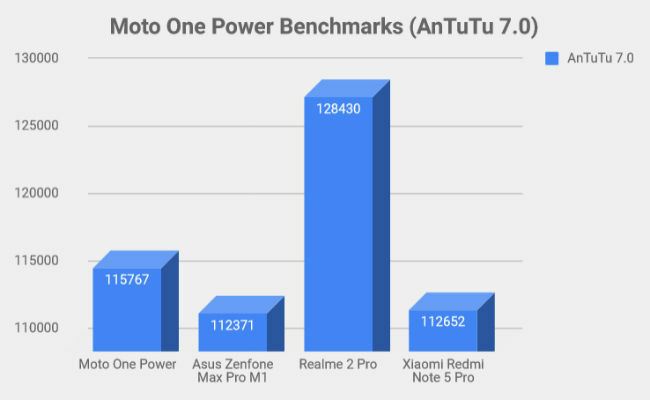 As a result, there won’t be much difference in the overall performance of the Moto One Power as compared to the other best-selling competitors, which is a good thing for Moto that has struggled to keep up with the competition. The biggest gain here is the Android One certification. It is what has set the Nokia phones apart from the rest in a segment that hasn’t had the best record in pushing out updates regularly. Being on the Android One program means Moto is obligated to push out regular security updates and version updates for the next two years. That’s something much-needed for Moto phones considering the painfully long wait Moto G5 users were made to go through for the Oreo update. As a result, the Moto One Power runs on plain, vanilla stock Android Oreo with no bloatware taking up extra space. The interface feels just as smooth as the Google Pixel phones although keeping a lot of apps open in the background slows it down ever so slightly. There’s the proprietary Moto actions like Twist to launch camera, chop to turn on the flashlight and the always-on display which surprisingly doesn’t take up a lot of battery life. It’s also on the latest security patch. Being on stock Android also means you’ll have to install all the required apps like Facebook, Instagram and WhatsApp separately, unlike Xiaomi and Honor phones where they come pre-installed. Gaming on the Moto One Power is good enough for the price it launched in. It’s not a gaming phone by any means, but can handle heavy titles like Injustice 2, PubG Mobile and Asphalt 9 with some ease. PubG Mobile runs on low graphics and the gameplay was quite smooth. Surprisingly, the phone rarely became hot while gaming. The Moto One Power, like most mid-range phones these days, features a dual camera unit on the back. There’s a 16MP primary camera with f/1.8 aperture lens and 1.12 pixel pitch, along with a 5MP secondary sensor with f/2.2 aperture to capture depth information. The cameras are leveraged together to make bokeh photos. On the front is a 12MP sensor with f/2.0 lens and relatively larger 1.25um pixels. The configuration is pretty similar to what other incumbents offer in that price and the picture quality too is more or less similar. The Moto One Power manages to capture good photos in bright sunlight. There’s ample details in the photos with high contrast making the highlights stand out from the rest. Details on faraway buildings come out quite sharp and intense. However, the dynamic range is lacking and it’s easy to get an overexposed image. It’s a little too sensitive to light, but the slider in the viewfinder can be used to adjust the exposure. The same high contrast settings helps making indoor shots look better. Warm tones like bulb-lights and brown ceilings look quite good and overall high saturation makes the whole things look pleasing. However, if there’s lesser light, noise starts creeping in quite early and that’s basically because of the over-processing done by the camera. The Moto One Power tries to compensate for a smaller sensor by digitally enhancing the colours. It’s apparent in the photo of the RGB keyboard shown below. The colours turn out pretty fine and the details are acceptable, but the noise is just too much to share on social media. The manual mode here also doesn’t help as anything above ISO 400 creates noise. Also, weirdly enough, the shutter speed in the manual mode starts from 1 second. You cannot make it slower than that. It’s only good enough for low-light photography, but there too the sensor is too restricted to produce good results. The 8MP front camera is paired with a LED flash that is best not used. The front camera has relatively larger pixels making up the sensor and the aperture is also quite wide. This should theoretically result in the sensor capturing more details of your face, but the results aren’t quite satisfactory. The details look smudged if you zoom in even a little. The beauty mode also isn’t quite helpful as all it does is smoothen out the details of your face. The camera app on the Moto One Power is different than the one on the Moto G5 and even the Moto X4 — the one we had come to love. Everything was quite accessibly laid out. On this one though, the camera app feels unfinished. It lacks the polish that is expected out of a 90-year old company. There is also no stabilisation which is expected from the price segment it is aimed at. The camera is also blessed with AI, straight from Google in the form of Google Lens. It is useful if you want more information about something in the viewfinder, and Google Lens is pretty adept at recognising just about anything. After recognising, it throws options to take action on — Link to E-commerce, identify plants and animals (at a very basic level), search for similar items, copy text or QR code and more. One way to make the most out of the camera is to sideload Google’s Gcam app. XDA Developers have a comprehensible how-to to install the app without requiring root access, and you can put the ISP’s resources to the best use by leveraging Google’s HDR+ feature. The Moto One Power packs a 5,000mAh battery which is massive for a smartphone in that range, but not quite rare. 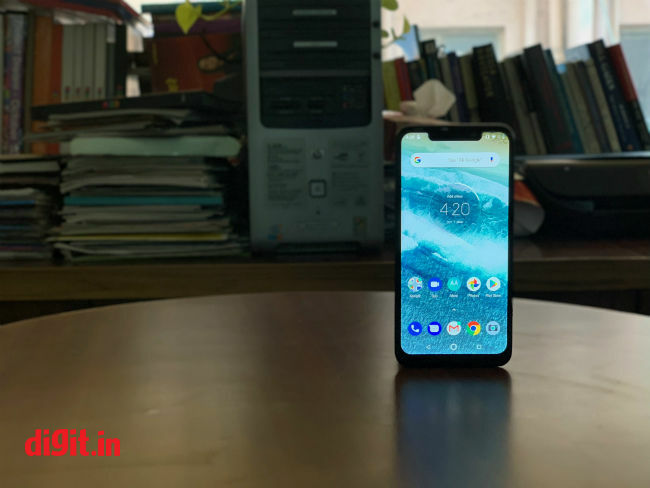 The Asus Zenfone Max Pro M1 also sport similar capacity, and based on the PCMark Work 2.0 score, the Moto One Power lasted 11 hours 57 minutes, a good one hour more than the Max Pro M1. That’s primarily because the Zenfone Max Pro M1 variant we tested had more RAM, but that shouldn’t make for this big a difference. Nevertheless, the Moto One Power will last you a good one and a half days if you use it moderately. Long hours of gaming will drain the battery quicker, but regular social media browsing, instant messaging, Netflix binging for an hour or two and ample use of the camera will easily last you more than a day. And in case you do need to top up the phone in a hurry, the bundled Turbo Charger fast charges to 50 percent in around 40 minutes, enough to last you a day.